If you like vintage race cars, and you like Ford products, and you have a particularly large amount of commas in your bank account, then you're in luck. Very nice car ****! Unfortunately, my check book doesnt have enough comma's. If you like vintage race cars, and you like Ford products, and you have a particularly large amount of commas in your bank account, then you’re in luck. 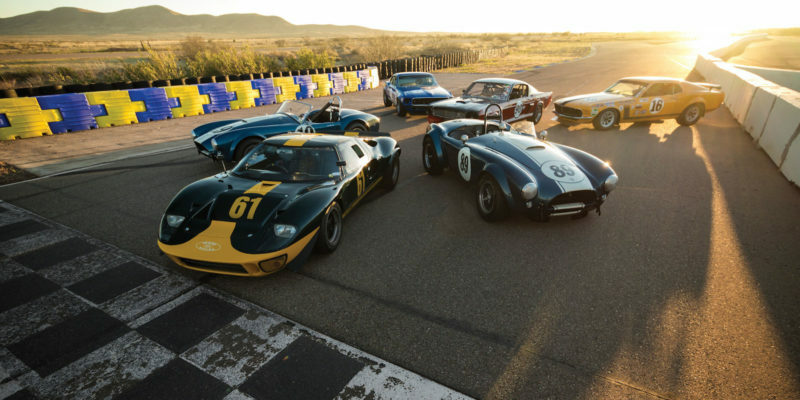 One of the most complete collections of vintage Ford racing cars is now for sale, and some very fine machines are included. Jim Click is looking to thin out his collection by a few cars, and that opens up the opportunity for us to drool and dream. The iconic GT40 included is a rare road-going model (but still track ready) and estimated to fetch $4,000,000 in Monterrey next week. One of the most successful racing Cobras is in there as well, and it’s another two-comma car, valued at over $2,500,000. If one Cobra wasn’t enough, there’s another original Cobra included, but it doesn’t have as extensive racing history or pedigree. That Gregg Boss is the hottest car mankind ever made. I would almost kill for it.